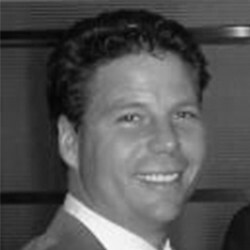 Paul J. Klosterman: Has been recognized multiple times in the Twin Cities as a Financial Advisor, who focuses his practice on active asset management. Paul has over 20 years of experience as an Investment Advisor Representative. This experience includes helping clients manage portfolio risk, developing tax reduction strategies,* preparing retirement income distribution strategies and efficient estate planning. He is dedicated to working with clients to design a personal financial plan around their life goals. This strategy focuses on helping them become more confident about managing their financial objectives. It is designed to provide solutions to both everyday and long-term financial goals, and is personalized to meet the needs of his clients. Pinnacle Advisory Council, 1994-2008, Signator Investors Inc.
* Financial analysis and recommendations are not intended to replace the need for independent tax, accounting, or legal review. Individuals are advised to seek the counsel of such licensed professionals.